Compact, powerful, four track steering, hydraulically powered high capacity cold planer with front loading system and mechanical, belt driven cutting drum. 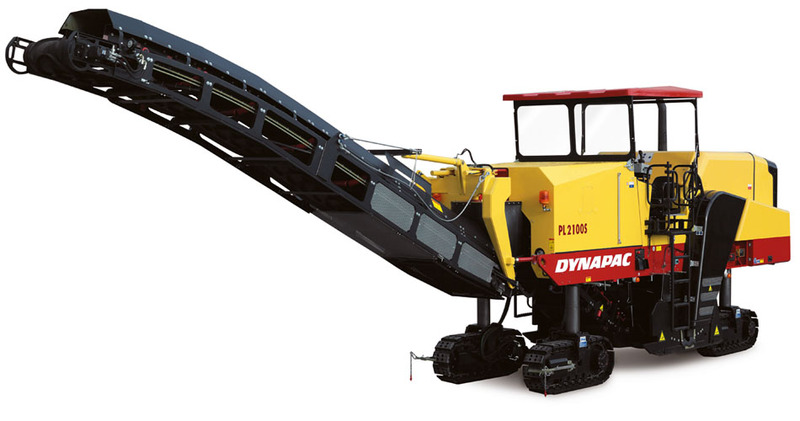 The planer has been developed for removing asphalt and concrete pavements. The PL2100S is operated by means of two joysticks (driving and conveyor belt functions) and by clearly laid out control and monitoring functions. This system is the result of frequent requests from drivers and operators for a system which is simplier to operate. Automated sequential processes, e.g. for the conveyor belts and water-spraying system ensure that operators can now concentrate on the planing operation and can benefit from reduced quantities of water and fuel consumption as well as reduced conveyor belt wear.